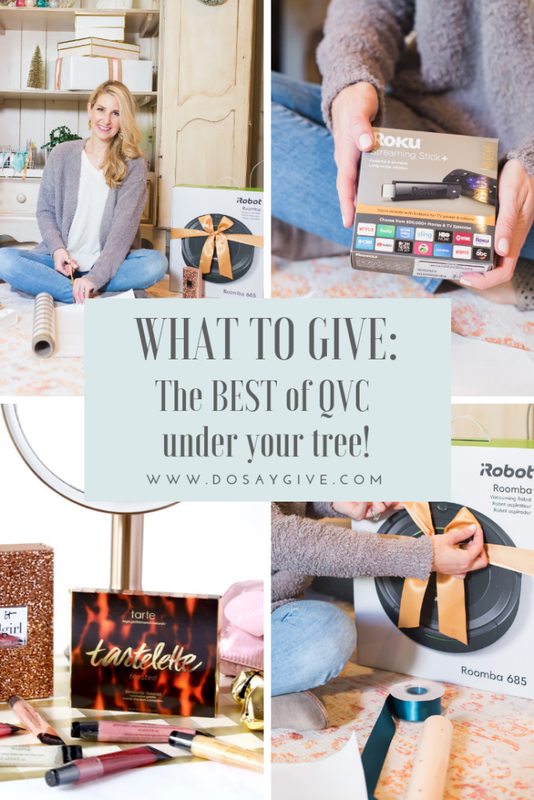 My mom buys so many of her Christmas gifts on QVC and has been telling me for years that they have some of the best deals and value sets on the popular holiday gifts each season. I told her last week that all her dreams for me have come true because I am finally collaborating with QVC! Today I am sharing my own little “Best of QVC” show in blog form. Y’all are going to LOVE these gift ideas for your loved ones!! This post is sponsored by QVC. 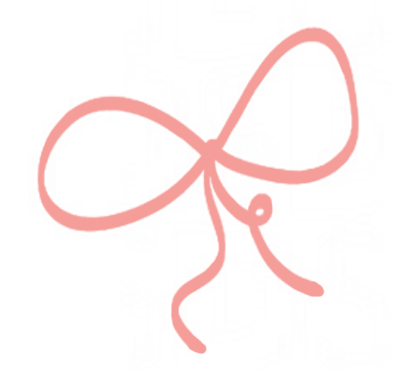 Thanks so much for supporting the brands I love! 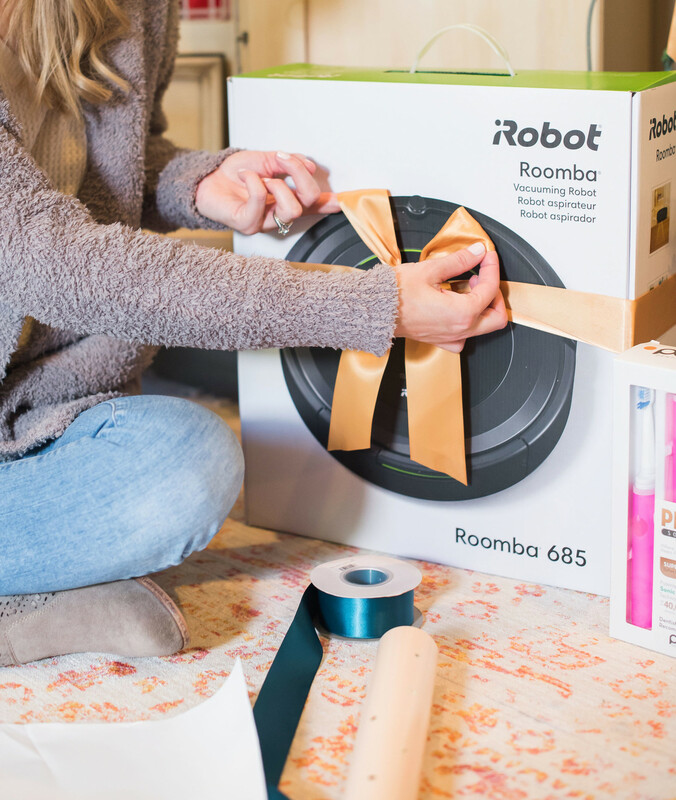 Who would NOT want a Roomba? It’s a life-changing vacuum for someone with pets, small children, or just likes to come home from work to a tidy house. It has seven day pre-set scheduling and automatically returns to its dock so truly low maintenance! Y’all know I love my Barefoot Dreams cardigan! This is the perfect gift for someone that is cold all the time or just likes to be cozy. I have a friend who gives these to all the ladies who work in her office – smart! Any woman would love to receive this Southern California-inspired cardigan. Looks great with jeans or leggings. I even saw a friend at church wear hers up over a cute dress! Sizing is pretty generous so size down. QVC always has such amazing beauty gifts like the coveted Simple Human 8″ LED Makeup Mirror that once you use you seriously cannot go back. It shows ALL the things on your skin that need tending to if you know what I mean:). And QVC’s beauty sets are always incredible values. For example, the iT Cosmetics It’s Your Must Have Eye Brush Roll (above) is perfect for travel or so cute for a college girl. 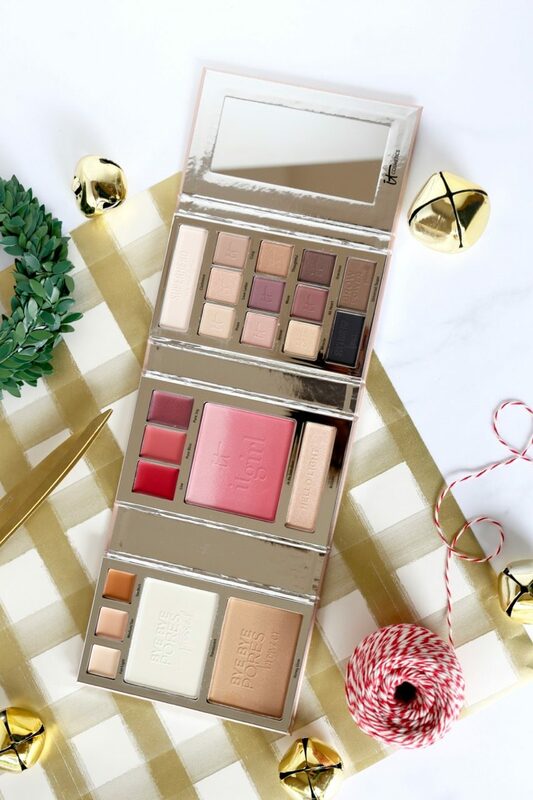 And I am OBSESSED with the new iT Cosmetics holiday book (below)- probably my favorite gift under $50 out there right now. Absolutely stunning and and a great value so sure to sell out quickly. 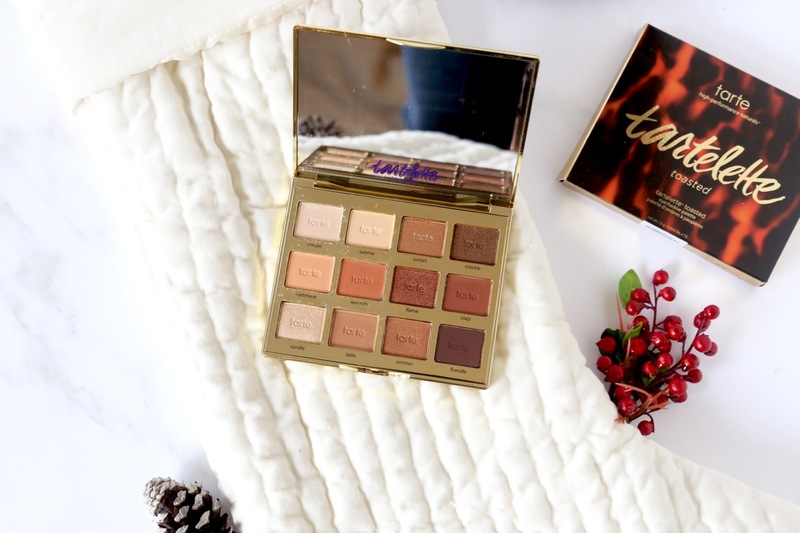 This Tarte 12-shade eye palette (below) is another fantastic beauty gift. It would fit in a stocking and would be a great gift for a teen or young adult that loves to try new shades. 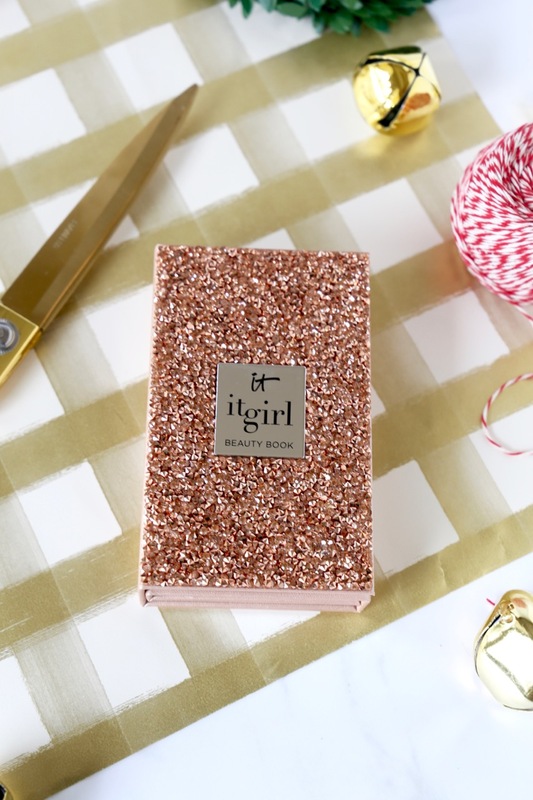 Lots of pretty, holiday shimmers in this set. 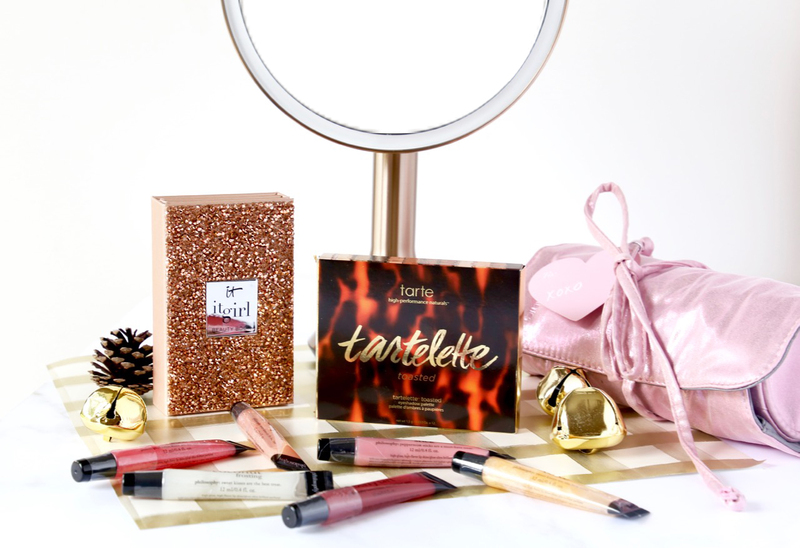 And if you have several daughters/daughters-in-law break up this Philosophy Delicious and Delightful 6-piece Lip Set in your girls’ stockings stockings! 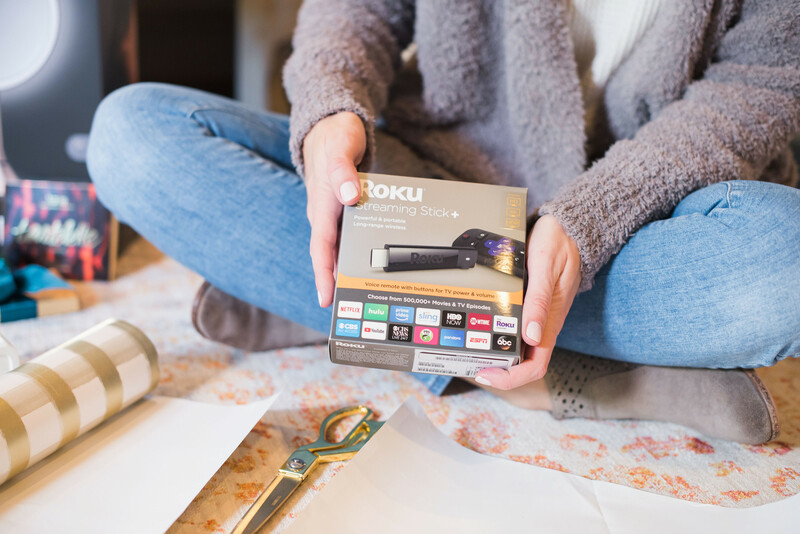 We’ve had our Roku a few years (we ditched cable) and it has truly been SUCH a great thing that I now give as gifts because it is so easy to set up and use. Simply plug it into an HDMI port on your tv, connect to your WiFi, and you will have access to all your streaming subscriptions like Netflix and Amazon Prime. Trust me, it’s so simple that anyone can use it. This is the basic model but there is a Roku with voice remote as well that would be a nice gift for an aging grandparent. I like to put practical gifts in the stockings and add a few sweets to make it fun;). But these toothbrushes are so much fun in their bright colors. Get one for everyone in the fam! I hope you got some gifts checked off your list with this post; I know I did! 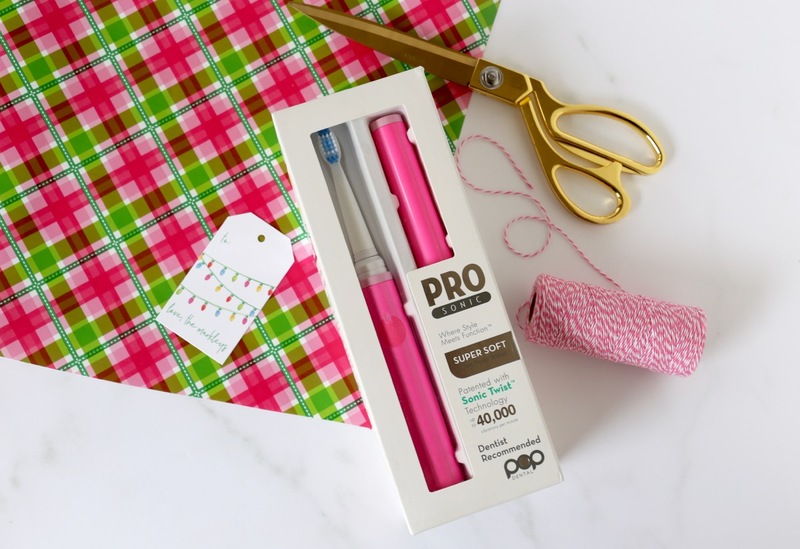 Be sure to check out other bloggers’ favorite gift guides on QVC here. DoSayGive’s 2018 Holiday Gift Guide is Here!